Mark Kerr picked up the guitar at the age of twelve and before long, he was receiving recognition for his musical abilities. Where as many kids at twelve years of age may be content to watch television or to hang out with others of their own age, Mark had one singularly focused ambition. He wanted to become a musician. And so devoted was he to this pursuit, he would often fall to sleep at night with his guitar "strapped on." Mark would eventually play with Percy Sledge and Rock and Roll Hall of Famers Curtis Mayfield's Impressions. After thirteen years of touring, Mark attended Northwestern State University where he studied music theory, while working very diligently on his jazz, blues and rock skills. Mark was nominated for Musician of the Year by The Academy of Texas Music, for his guitar work on "One Drink Away From The Blues". "One Drink Away From The Blues" has aired on 300 plus radio stations worldwide and has charted in the top 25 on many of these stations. Mark finished in the top 1500 of the 2007 Billboard Songwriting Competition. And, finished as the second place winner in the 2007 Unisong International Songwriting Competition with his title cut, "One Drink Away From The Blues." Mark has achieved these great accomplishments as an independent. We are proud to announce the release of Mark's new CD "Blues Nation." "Blues Nation" is a CD of original blues / rock songs that are hard hitting, in your face, and to the point. Each song is chocked full of scorching lead guitar, with a take no prisoners guitar sound. Like Mark's first CD, "One Drink Away From The Blues." "Blues Nation" follows the same footsteps except with a harder rougher edge. 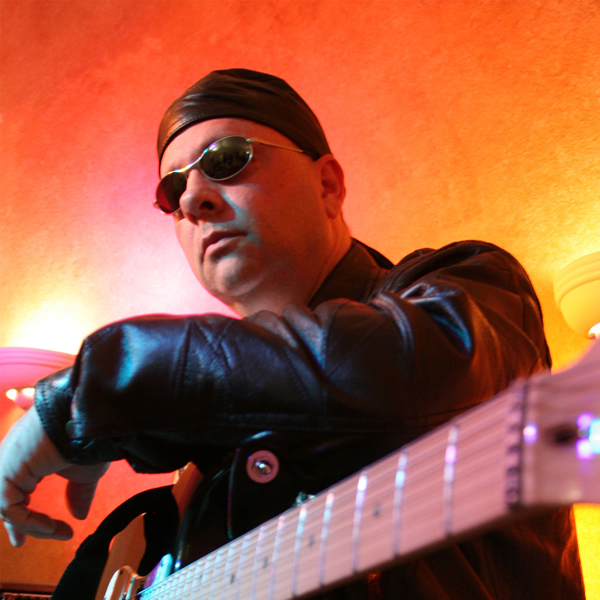 "Blues Nation" is packaged around Mark's virtuoso lead guitar playing, fusing blues, rock, funk and jazz. If you miss the days when guitar ruled the airways, we feel you will find what your looking for on this CD. Mark has taken progressive blues & blues/rock to a another level. Much like he did on "One Drink Away From The Blues." We hope you enjoy this awesome CD.